It’s April 1st which means it’s the official kick off day for the A to Z Blog Challenge where bloggers use the alphabet to structure their posts. I’m focusing on Alphabet Books this year and I am surrounded by piles of ABC books. 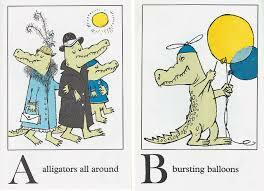 One problem is that most alphabet books start with the letter A (makes sense, right?) So, I’m looking for themes to share in alphabet books. This ABC book is a visual feast. 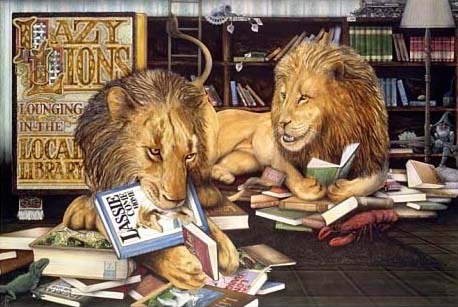 I remember spending hours poring over the detailed illustrations, counting objects, and looking for a boy hidden within the pages. 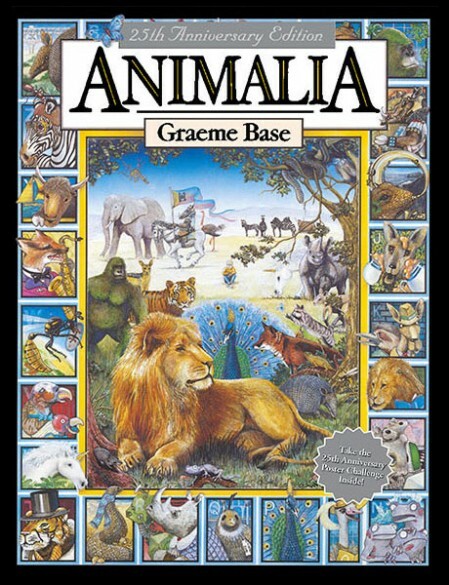 Written in alliteration, each page features an animal and objects that begin with the featured letter beginning with An armoured armadillo avoiding an angry alligator. 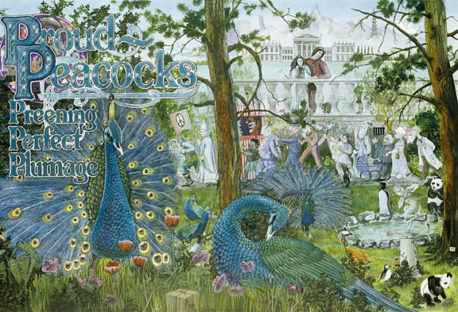 Many people consider this to be one of the best alphabet books available. 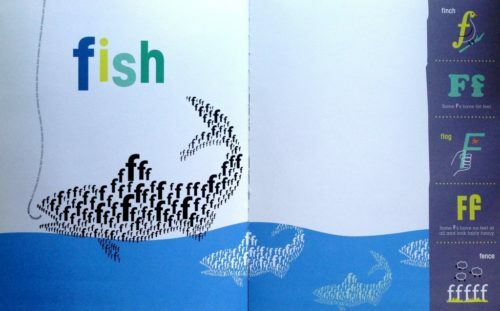 This is not your typical alphabet book. 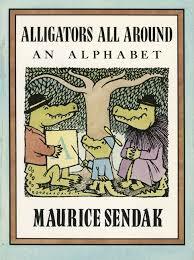 Yes, it starts with alligator and ends with zebra, but the illustrations make this book stand out. Each letter is represented by the easily recognizable silhouette of an animal, but the animals are composed of different shapes, sizes, and types of letters. This is an amazing introduction to the art of typography. 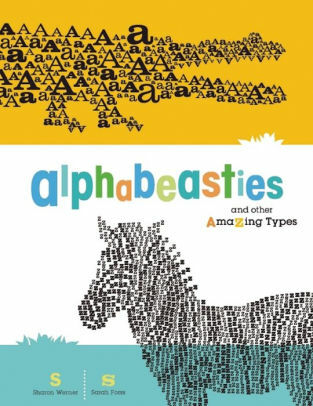 Children (and adults) will be fascinated by the variation in fonts as well as the clever ways the letters form each alphabeast. 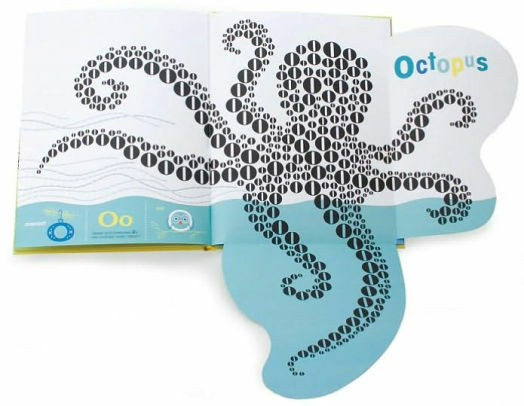 Many of the pages fold out which makes it a very clever and hands-on alphabet book. One of the reasons I love the A to Z Challenge is that it gives me the opportunity to find new bloggers to follow. Check out Stories Served Around the Table where AntionetteTruglio Martin is writing about childhood games and songs from A-Z. I need to find Alphabeasties for my own shelves. Great start, Claire. Thanks for your Anamalia suggestion. It was fun to revisit an old favorite. It’s amazing! I’m so glad to return to this old favorite. Thanks for stopping by! These are very inspiring. Animals are a beloved subject for most children. I like a lot the original illustrations on “Alphabesties”. I would surely enjoy it. 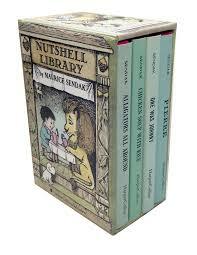 Well… I enjoy a lot children books, even if I’m an adult (ehem) and have no children.